Hey, Everyone! I hope you enjoyed Little River: Vol 2. I meant to have this post up a little closer to when I posted the conclusion, but, man, summer has been so busy already! Because of the busyness of summer with six children and because of wanting to take a little break, I am taking a hiatus from Little River. While I won’t be posting weekly chapters over the summer, I will be working on something for you. I’m including Bonus Material in the paperback and Kindle versions of Little River: Vol 2. This will probably be in the form of a couple of short stories or a novella about some of your favorite Little River characters. I hope it will be a nice incentive to invest in a hard copy of Vol 2! Now, for a couple of announcements . 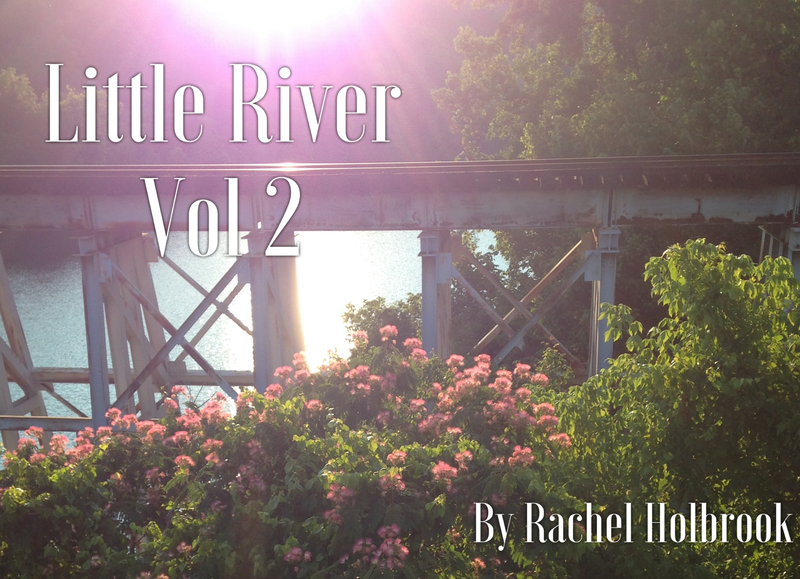 . .
I’m really excited to announce that, after running Little River: Vol 1 in it’s entirety, the editor of the Morgan County Today wants to run Vol 2, as well! This is exciting news for me, and I’m really proud to collaborate with the Morgan County Today in this way. Secondly, I’m excited to be a part of a book sale/signing at the Lenoir City Arts and Crafts Festival this Saturday with the Author’s Guild of Tennessee. If you are local, I’d love to see you and sell you a book. 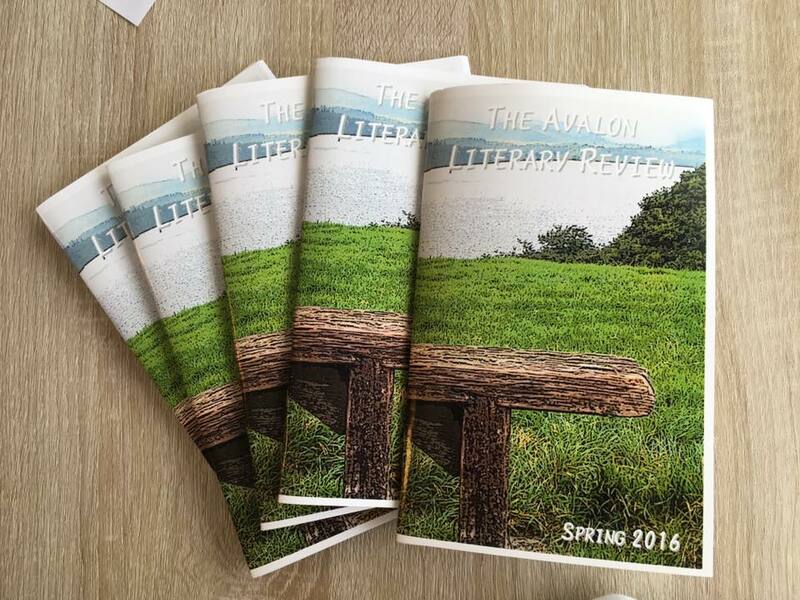 There will be several other local authors there, and it’s a great opportunity to #ReadLocal! So, come and support your local author’s and enjoy what I hear is a fantastic annual Festival! If you’ve not read previous chapters of Little River, you can catch up here! Josiah found the sound of leaves crunching beneath his feet a comfort, even though Crockett’s absence was never more apparent than when Josiah was in the woods. When he could hear nothing but the barking of squirrels overhead and birdsong all around, he started to feel the tension leave his body. If he could build a cabin and live up on the mountain, he would. It was only his loyalty to his aging parents and the farm he grew up on that kept him in town. Josiah’s stride lengthened as he crested the ridge and the terrain leveled off. He had no intended destination, and yet he felt a distinct sense of purpose with every step, almost like he had an appointment to keep. A stirring in the leaves nearby caused him to stop and listen. After a moment, he spotted a chipmunk busy collecting nuts under a massive oak tree. Pushing through a particularly thick stand of mountain laurel, Josiah gasped as the way opened up in front of him. The path in front of him was no more than a deer trail, but the sunlight cut through the trees overhead and shone directly on the path, illuminating a small piece of quartz that sparkled in the sunlight. Something about the combination of the sunlight on the quartz and the wide open view in front of him made Josiah feel expectant. He picked up the quartz and dropped it in his pocket, and carefully made his way to the place he hadn’t realized he was headed. Taylor’s Jump Off was a bluff not visited by many people. People frequented other bluffs on this mountain that were easier to get to, but, though it was the least visited, Taylor’s Jump Off was the most talked about. Josiah could still remember the first time he came here with his Papaw. The old man had made him hold his hand, even though he was nearly twelve. The panoramic view was seen easily enough from several spots, once you fought your way to the clearing, but the ledge Josiah was working his way toward had the most magnificent view he had ever seen. His papaw warned him not to try to get down to the ledge; several people had fallen and been injured or killed attempting the short descent to the granite outcrop. Papaw had said it was suicide to attempt, and then told him how Zeke Taylor had done just that after he lost his wife and kids in a fire. He left a note under his hat at the base of a tree, climbed down to the ledge and jumped off. That was seventy odd years ago, but the spot was still called Taylor’s Jump Off. Josiah smiled to himself, remembering how he had climbed back up the mountain just a few days after his papaw had showed him the spot and climbed down to the Jump Off. Telling Josiah not to do something was pretty much the same as giving him a direct commission to do it. Taking care not to lose his footing, he lowered himself the final two feet to the granite ledge. Getting down was easy; getting back up was the tricky part. Once he found a spot to sit, he looked around and sighed. The view was worth the danger. Jutting out from the rest of the mountainside, the Jump Off allowed an unobstructed view of nothing but treetops below and another mountain across the valley. Off to the left, you could barely see the Little River snaking its way through the valley. Josiah inhaled the crisp air and closed his eyes. The peace was almost palpable. Josiah thought about all the times he had sat through church and wished he was in the woods. All the sermons he tuned out paled in comparison to the integrity of the wind in the trees. Remembering Ezra saying he met Jesus in the woods, Josiah rolled his eyes, and then laughed at himself for doing it. There was no one around to see his disdain. No one else to laugh with him over the Sunday School version of a white-robed, scarlet-sashed Jesus strolling through the forest. No one else around, yet Josiah felt strongly that he was not alone. Josiah shook his head, feeling foolish. He reached into his pocket and pulled out the piece of quartz. Holding it up to the sunlight, he admired the way it sparkled. He had always been a sucker for the pretty things he found in the woods. His dresser was covered with the various items he brought home. “Why did you paint that rock?” Josiah had asked. Josiah had only nodded, and pushed himself back and forth in the old porch swing. Now, the memory of his Papaw’s words and the intensity with which he spoke them flooded Josiah’s mind. “Thanks for meeting me,” Brady’s voice sounded tired. “Stereotypes lie, Man.” Titus grinned at his friend. Four hours later, Brady took the Little River exit slower than normal. He was too tired to be driving. After working all day, eating dinner with Titus, and then watching a movie and playing basketball with Caleb in their driveway, Brady was afraid he would fall asleep at the wheel. He had been avoiding his usual route home which took him past Lexi’s house, but tonight he was too tired to take the long way. As her house appeared in the distance, he was surprised to see her front porch light on. He slowed his speed even more as he approached, checking the clock on his dash. It was one in the morning. Right before he got to her house, he spied her sitting on her porch steps, her head in her hands. Against his better judgment, he pulled his truck to a stop on the street just past her mailbox. She didn’t even look up until he shut his truck door with a loud bang. “You scared the daylights out of me!” Lexi said as he walked the short distance between them. She looked rough. Her eyes were swollen from crying, and her nose was red and raw-looking. Her long hair was piled on top of her head in a messy bun; her slim body was lost in the folds of a giant sweater. “I’m sorry,” Brady took a tentative step toward her, and was surprised when she scooted over, making room for him on the step. Lexi nodded, balling a used tissue in her tiny, white hand. “Oh, god,” Brady didn’t know what to do. He wanted to sweep her up in his arms and tell her it was going to be okay, but she had told him in no uncertain terms she wasn’t interested. “Me, too!” Lexi’s plaintive cry came out like a child’s whimper. Sitting on a bench beside the water, Lexi felt very self-conscious. When Brittany asked to meet her at the park, her initial reaction was to say ‘no.’ After a couple days, she decided to say ‘yes.’ She wanted to know what Brittany had to say. Everything about it felt strange and awkward, though. She felt like she was sneaking around. Not only did Brittany insist on Lexi coming alone, necessitating her asking her elderly neighbor to let the girls stay with her for the afternoon, but she also insisted they meet at the park. It all felt so clandestine. Lexi looked up to see Brady’s younger sister standing nearby. She looked nervous. Lexi waited. This whole interaction was incredibly awkward. “I wanted to explain why I did what I did.” She paused, biting her bottom lip. Her hands were shaking. “What do you mean?” Lexi knew what she meant, but Brittany seemed as if she needed help getting the conversation started. “But you lied to him,” Lexi attempted to keep the judgment from her voice. “My mom never knew her grandson.” Lexi, too, stared at the leaves, as if the gentle waving could alleviate the tension between the two women. Lexi blushed at the thought of Brady saying she was pretty. “Where is Kyle?” Brittany suddenly asked. “I broke his heart.” Brittany sniffed and wiped at her cheeks with the sleeve of her shirt. If you’ve not read the previous chapters of Little River, you can catch up here! Mary jerked awake, disoriented for a moment as she tried to determine what had woken her. The dim light coming through the front windows let her know she had slept most of the afternoon in her chair. The pain in her neck let her know that was a bad idea. “Miss Mary?” The voice accompanying the quick knock on the front door startled her, but her surprise quickly turned to joy as she recognized Josiah’s voice. “Coming!” Mary struggled out of her chair, her old joints protesting. She made it to the door with the help of her walker, and pulled it open. There Josiah stood with a plastic grocery sack in one hand and a bouquet of flowers in the other. “How are you, Miss Mary?” Josiah looked a little sheepish, his blue eyes slightly downcast. “You look beautiful,” Josiah answered. Josiah set the grocery sack on the table and began pulling items out. First a carton of ice cream, then whipped cream, chocolate sprinkles, and a jar of maraschino cherries. “What’s all this?” Mary’s eyes were as wide as a little girl’s. Mary laughed, and dipped her spoon into the ice cream. She actually could remember the last time she received flowers from a handsome man; Arthur had given her a dozen roses on her last birthday before his first stroke. What she couldn’t remember was the last time she had ice cream. Living on a small fixed income, she never felt like she could afford little luxuries for herself. Occasionally Eva would bring her a piece of cake or pie. She had made several cakes for Josiah, but she had never thought to ask him to buy some ice cream when he picked up her groceries for her. “Beggars can’t be choosers,” Mary joked. “Oh, yeah?” Josiah was truly surprised. Josiah considered staying quiet. He had heard the tires crunching the gravel in his driveway, and he heard the knock on his front door. He wasn’t in the mood for company. He thought it was probably his mom checking on him until he heard the unmistakable voice of Ezra Shepherd calling out. “Out back,” Josiah finally called. He didn’t feel like talking, but Ezra had been too good to him through the years for him to ignore him. It didn’t take long for the older man to find his way around to the back of the little, brick house Josiah had inherited from his grandparents. He started to get up from the back porch steps where he had been sitting for the better part of an hour but Ezra motioned for him to stay seated. “Keep your seat.” Ezra pulled an old lawn chair from beside the porch into the patch of sunlight in front of Josiah and sat down. “How’ve you been?” Josiah tried to be polite. “Better than you, from what I’ve heard.” Ezra’s kind eyes crinkled in the corners when he smiled. Ezra nodded, but didn’t say anything. “You did?” Ezra sounded surprised, but not unbelieving. “I don’t know.” Josiah clasped his hands together between his knees, his head still sunk in defeat. He felt so much shame over killing Crocket he could barely look anyone in the eye. “Did something happen?” Ezra coaxed information out of the younger man the same way he had done in Scouts when something was bothering one of his boys. “How come?” Ezra asked again. Josiah finally lifted his eyes to study the other man’s face, but didn’t speak. “Okay.” Ezra was obviously puzzled by Josiah’s vague explanation. “You already know what I’m going to say,” Ezra smiled. “And you already know what I’m going to say,” Josiah let a weak smile creep across his face. “How do you know?” Josiah raised one eyebrow.